With mixed emotions and clarity of purpose, I hereby write to inform all stakeholders about the postponement of the the dates for the forthcoming 6th edition of the annual Nigeria Photography Expo & Conference (NiPHEC) slated to hold on May 7, 2018. Shifting the dates forward became inevitable after a recent disruptive issue we had with our office thereby placing the smooth planning and organizing of the conference at risk. One thing that is certain is that the new dates will enable for a richer experience of networking & learning. Also, the first day of the conference will now be FREE to attend if one registers before the day of the conference. An informal survey carried out showed that countless potential participants – who fell squarely within the description of the target audience that needed this conference – could not afford to pay the N3,000 token attached to the previously scheduled date. 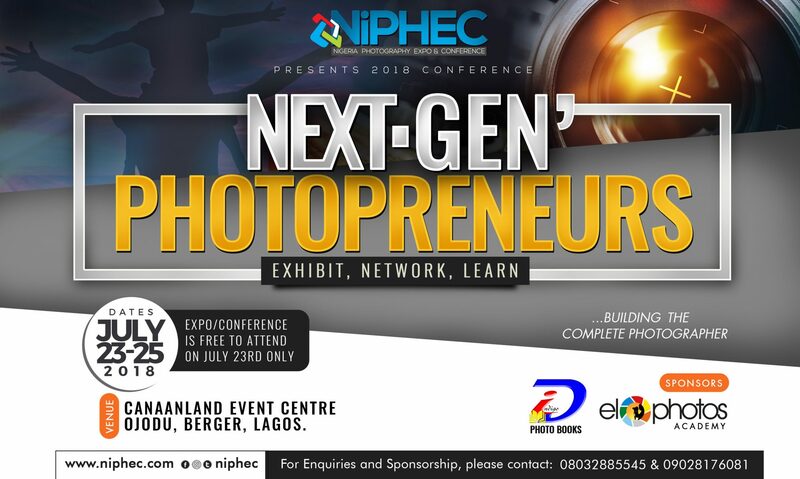 I discussed this with one of our main sponsors and with their partnership, we concluded that it will be in the interest of NiPHEC and all participants to make the first day, July 23, free for registered participants. With this move, we hope to get a minimum attendance of 1500 when our combined efforts are put on the table. The new dates will incorporate over 12 specialized classes – wherein a small investment is required – that will help with different areas of photography and business wherein participants need to learn more. Consequently, we look forward to a conference that will be a worthwhile investment of time and resources for every exhibitor and imaging lover who participates therein. Once again, I wholeheartedly apologize for any inconvenience caused especially to some of our participants & exhibitors that had planned to fly in from outside Nigeria. An updated list of speakers, facilitators and classes will be put up on the redesigned website that will be launched on or before May 15. We excitedly look forward to a mind-blowing and refreshingly creative atmosphere of learning and networking come July 23 – 25, 2018. Kindly reach us on 08032885545, 08120129149 or info for any further clarifications. Also please follow us on Facebook (fb.com/niphec) & Instagram (@niphec) to be kept up to date with conference-related info. notify me immediately when 2019 schedule please.